Do you need protection for certain apps and not alone for your phone in general? Several applications help you achieve this but most of them have certain drawbacks. Some apps can be force stopped or uninstalled. While some other locking apps consume vast space in the device or simply slow down the speed and cause the phone to hang multiple times. If you want to protect your information from younger members of the family or your friends or anyone else. Hexlock is an ultimate solution to all your problems. You can download it without paying a single penny. 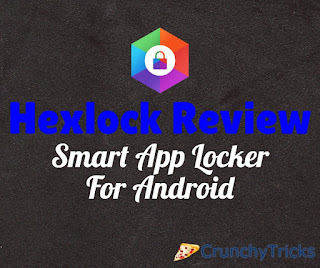 It was considered as the best app locker of 2015 in Canada. The app size is about 4.14 MB and has been installed by about 1,000,000 to 5,000,000 users until now. It protects your Gallery, SMS, Calls, Contacts, Gmail, Facebook, Whatsapp, Kik and more. Set the pattern or Pin accordingly. 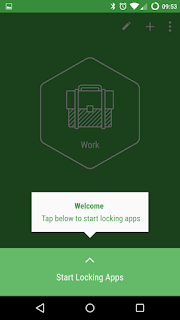 The application then allows you to choose specific apps to lock them down or to unlock them anytime. There are various profiles to accomplish the same task; the default profile is work. There are a few inbuilt patterns. 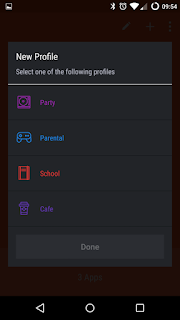 They include - Party, parental, school, cafe. The profiles are customizable too. And this provides great flexibility with customizable name and freedom. You can choose from various profile icons as well. They include orange, purple, blue, red and dark purple icons. Now you can choose apps that you want to lock down from unnecessary downloads or some money transactions. Activation is very easy and visual feedback is observable as soon as the profile is activated. You can choose specific duration for a time as well. Locks you app and not your device - Choose the apps you wish to lock from others. Quickly lock Whatsapp, Emails, and SMS. And keep your messaging safe. Also, protect your games from intruders. You can lock your gallery and photos to ensure your privacy. Improve your app security and prevent children from making in-app purchases or changing your personal settings when they play games on your device. Automatically lock down the apps - You can choose to lock down the apps as soon as you are connected to WI-Fi. You can also control WI-Fi and other settings. App size and speed - The app does not require much space and does not affect the device speed or cause it to hang invariably much like other locking applications. User Interface - It is a user-friendly app that follows all the Google Material Design principles. The interface is clean and fast; the UI is attractive. It also incorporates various features efficiently. Hide pictures - Some explicit photos can be hidden inside the vault. You can keep your photographs and videos safe. Take control over privacy - Protect your Social Network apps. Secure your Kik and Facebook app with passwords and share your device with friends confidently that your work-related apps are secure. The application also provides uninstall prevention and fingerprint unlocking. The fingerprint detection feature is available for Samsung devices or devices currently based on Marshmallow Operating System. It is a great app with a clean and user-friendly, free to use and download. It will provide you the much-needed security, and you can also remove advertisements from it by paying a small amount of 10 Rs. 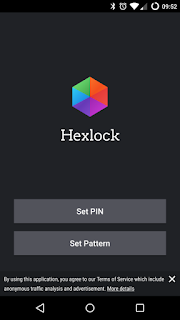 If you want to secure your phone Hexlock is a great bet.